Mitchell Rolls is Major Coordinator of Aboriginal Studies, Global Cultures & Languages, in the School of Humanities. 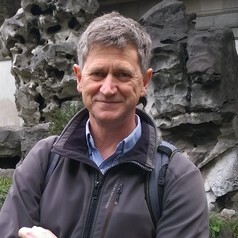 His research interests include the fields of postcolonialism, cultural anthropology and more broadly, Australian Studies. He has published widely on cultural identity, race and representation, cultural appropriation, and place-making in settler societies. He is President of the International Australian Studies Association (InASA).